This awesome new YouTube parody is like nostalgia squared. 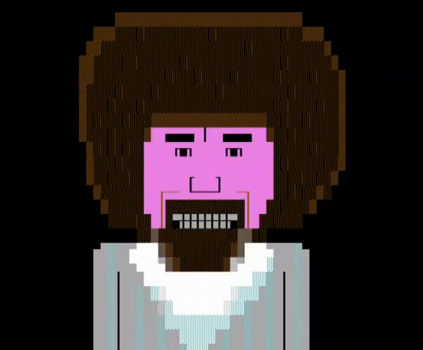 It imagines the late painter Bob Ross … if he had been an ANSI artist instead (though the video calls it “ASCII” art). If that whetted your appetite for more ANSI, then check out 8BitMUSH, an intruigingly retro virtual world. This entry was posted in Uncategorized and tagged ansi, bob ross, parody, pbs, video on Feb. 26, 2013 .